I'd get one here if I was crazy enough to want to spend my money on a new one today. Getting a used one from eBay or Craigslist is sort of a gamble since these are professional cameras they were likely used hard and saw lots of action in extreme environments. 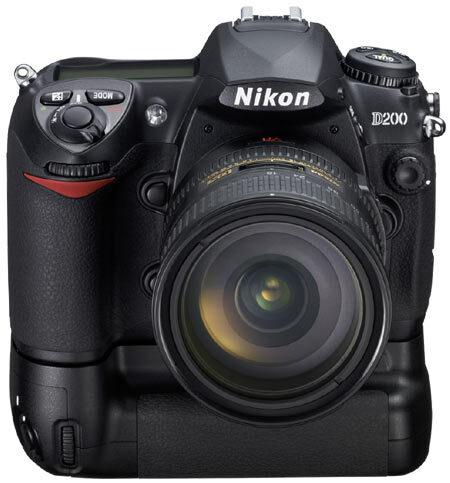 The D200 was Nikon's professional body of choice by many wedding photographers for quite some time. It was the next step after the D2x. It has been directly replaced by the highly superior D300 and sort of laterally replaced by the equally good, but more affordable, D80. The D200 is a fine camera, and worth holding onto for use as a second or backup body. Unless you can get a great deal on a used one (by great, it mean nearly free) I'd save my pennies and put them towards a newer and better Nikon offering. Maximum Resolution: 10.2MP (3,872 x 2,592) - This is fine for anything you would want to take pictures of. This is ample to make gigantic enlargements or to crop off some extra pixels to get the picture you really want. It is also the exact same as the D80. Minimum ISO: 100 - Fine, nothing wrong with that. Maximum ISO: 1600 - This is not Earth-shattering any more. It was back when it came out. 1,600 is nice in darker indoor settings, but a camera of this vintage doesn't render the higher ISO that well and you'll get lots of grain over ISO800 or so. Shutter speeds: B, 30-1/8,000. 1/8,000 is insanely fast. Faster than I think you'll ever need. Buttons and dials: Great - everything a pro in the field or in the studio would need to get the job done so they can get paid. This doesn't mean it will be easy for you when shooting your kid's birthday party, but a wedding photographer or reporter will have the tools they need easily available to them. Modes: M,A,S,P, and NO scene modes. This could mean a slightly tougher learning curve for an amature shooter, but I see it as a forced learning experience. It is like a bike without the training wheels. If you learned to ride that way you learned more quickly how to do things like the big kids. Training wheels are fine, if you need them. If you've outgrown them then it is nice to not have them in the way. This camera works fine and for most jobs it still holds up to what I can toss at it. Its problem is that it has been passed over now and seems a little dated. This doesn't mean it is a bad camera, on the contrary it works quite well, its just that for your money you can do better. 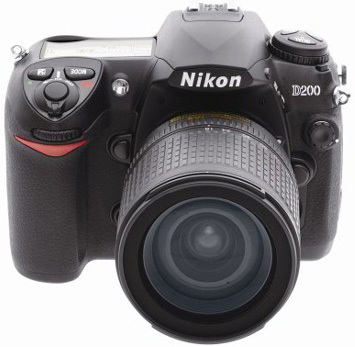 Nikon D200 Body with Nikon 50mm f/1.4D lens. 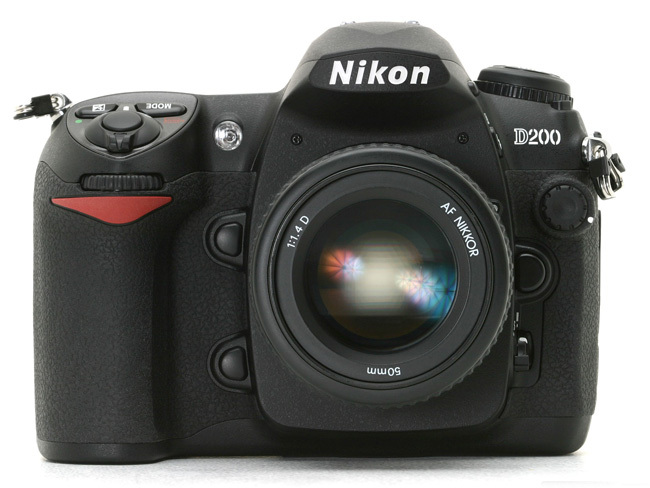 Nearly everything talked about in Nikon-circles today is an Alternative to the D200. The D300 is a 1-to-1 replacement as it is a x00 series body and the D80, which came just after the D200 is really a D200, but cheaper and newer. It does all of the same tricks a D200 does except for working with a LensBaby, but that is certainly not a deal breaker. If given the choice, I'd take a D200 any day over the much-lesser bodies such as the D40, D40x, and the D60. Although these are among Nikon's newest cameras they don't work with Nikon's best/fastest lenses, so why bother? The D200 proved itself as a workhorse in many photographer's stables, and will likely live-on as a backup as photographers upgrade to newer things.